Hello spring, it's so very nice to see you! Yesterday we flung open the doors and windows to let a little of that slightly warm spring air into the house. We've had quite the winter this year, so much snow and frosts, it has been delightful. But now I am looking forward to longer days, golden afternoons and a summer garden filled with produce like tomatoes, raspberries, zucchinis and peas. 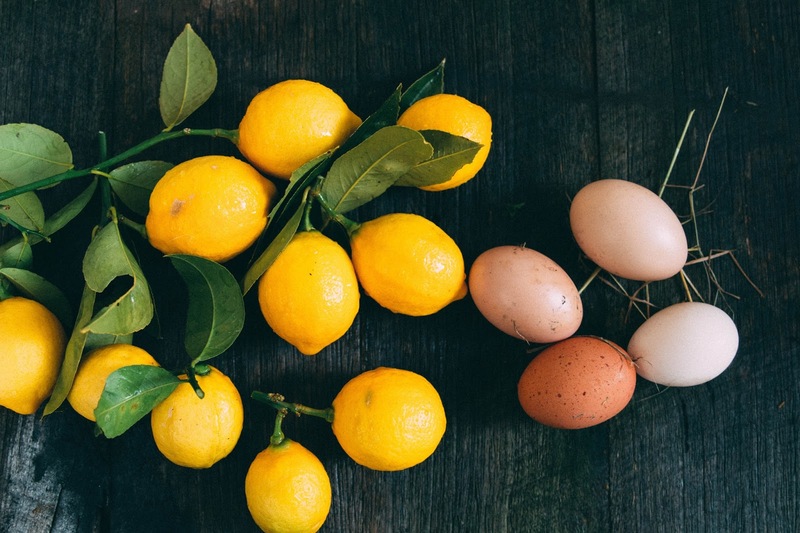 For now, all we're getting from the garden is loads of eggs and loads of lemons. We have quite a little tree full of Meyer lemons if you please. What to do with all those lemons? I could make the Lunch Lady's lemon curd, or Pip's Tangy Lemon Squares, but I think I need a pound cake today. 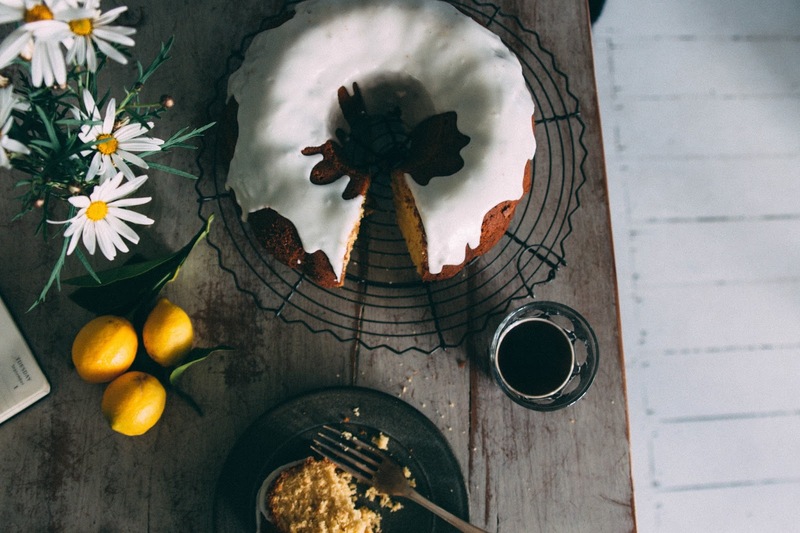 A solid, lemony pound cake. Spring may be on its way, but we're still craving comfort food in this house. I used a bundt tin for this cake, but any decent sized cake tin would do. It makes a big cake. Butter the bundt tin really well and set aside. Using an electric mixer on high speed, cream butter, sugar and lemon zest until mixture is light and fluffy, about 4 minutes. Add the eggs one at a time, beating well between additions and occasionally scraping down sides with a rubber spatula until mixture is pale and very fluffy, about 4 minutes longer. Meanwhile, whisk flour, baking powder and salt in a medium bowl. Reduce speed to low. Add dry ingredients in 3 additions, alternating with buttermilk beginning and ending with dry ingredients. Scrape batter into prepared tin and smooth the top. Bake cake until golden brown and beginning to pull away from sides of pan about 60 minutes. Transfer to a wire rack and let cake cool in the tin for 10 minutes. Invert cake onto rack, carefully remove from tin and let cool completely. Fingers crossed you greased the tin well enough! To make lemon icing, take 250g icing sugar and mix with 1 tbs of lemon juice. Stir until smooth, you want it really thick but if it's too think add a drop more juice. Drizzle over the top of the cooled cake and allow the drips to fall down the sides. Enjoy with a coffee and start writing a list of what to plant in the garden for summer. I have just popped this in the oven. I am so desperate for this never-ending Melbourne winter to finally get lost! Oh man. No spring in sight here. I love doing lemony things to brighten up the winter, there's nothing quite like that refreshing citrus zing! This is twice now this week is telling me to finally get a bundt pan. To hell with my minimalist kitchen setup! (Says the woman who has a madeleine tin). Love the new layout too, very niiiiiice!